Sunway is offering a seven-night stay in Orlando and a four-night premium all-inclusive cruise to Cuba onboard Norwegian Sun from €1,695 on 21st May. Crystal Ski Holidays is offering a seven-night trip to Soll for Christmas from €349 per person. Price includes flights, transfers, baggage and accommodation in the Pension Maxillian on a bed&breakfast basis, departing 23rd December. Topflight is offering New Year skiing in France from €849. Price includes flights, transfers, checked baggage and a seven-night stay at the Catered Chalet, La Rosiere, including meals and wine with dinner. Sunway is offering a last-minute deal to Fuerteventura this weekend. Price of €399 includes flights, transfers, checked baggage and a seven-night stay at the Oasis Dunas Apartments, departing 18th November. TUI Ireland is offering a seven-night stay at the San Marcial Apartments from €369 on 28th January. Price includes flights, transfers and checked baggage. TUI Ireland is also offering a seven-night stay at the 5-star TUI Sensimar Elounda Village, Crete, from €799 on 27th May. 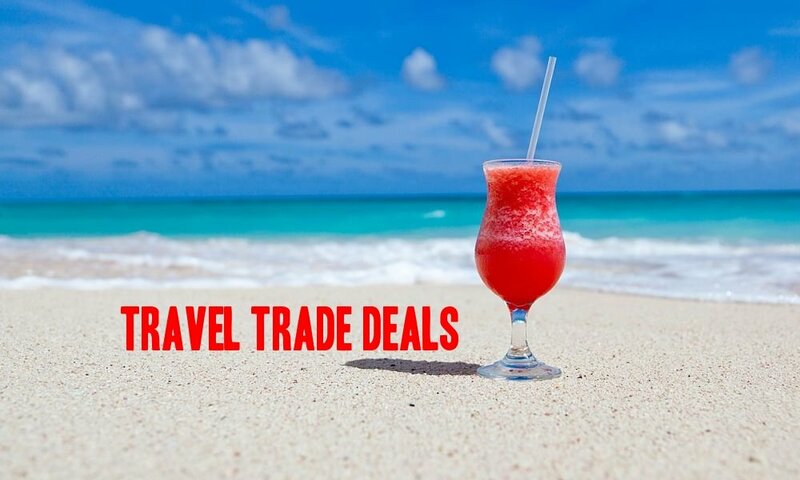 Price includes flights, transfers and hotel on a a half-board basis. Classic Resorts is offering a seven-night all-inclusive stay at the 4-star Riu Le Morne, Mauritius, from €1,289 in May or June. Book by 22nd November. BookaBed is offering a three-night break to New York for Valentine’s Day. Prices from €592 in the Wyndham New Yorker Hotel and €624 in Fitzpatrick’s Grand Central Hotel, including direct flights with Aer Lingus. Insight Vacations is offering €200 off its eight-day Easy Pace Russia tour on selected dates. Prices from €1,845 include a premium escorted tour with meals, excursions and transfers. Excludes flights. Marella Cruises is offering a seven-night Canary Islands cruise from €789 on 5th, 19th and 26th January. Price includes flights, transfers and checked baggage. Royal Caribbean International is offering a 12-night Mediterranean Venice cruise onboard Vision of the Seas from €1,565 on 2nd May. Price includes flights from Dublin, checked baggage, transfers and US$400 onboard spend per stateroom.